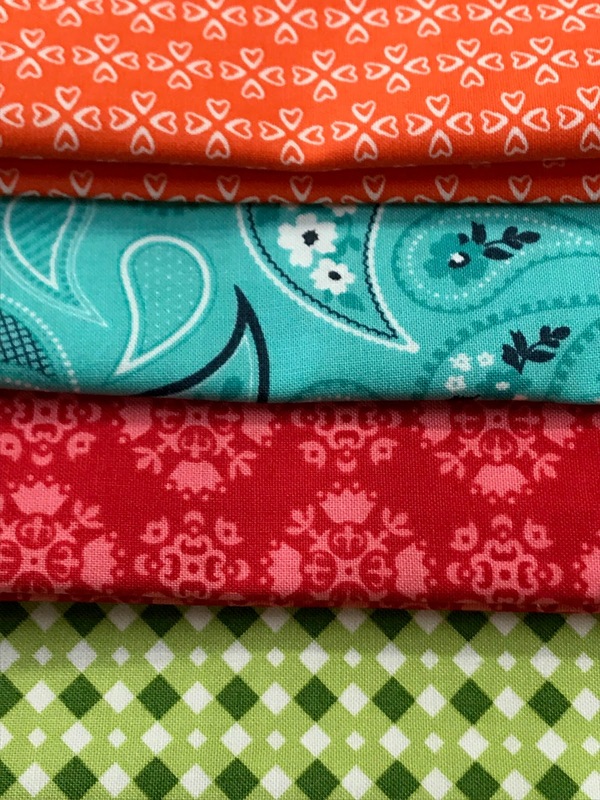 They look so beautiful with Mama’s Cottage by April Rosenthal for Moda Fabrics. I do enjoy selecting fabric for my projects but I am so happy I just went with the quilt kit and the matching backing set chosen by Fat Quarter Shop. These are the prints I used this time. I repeated it a few more time to create the 4-unit blocks. 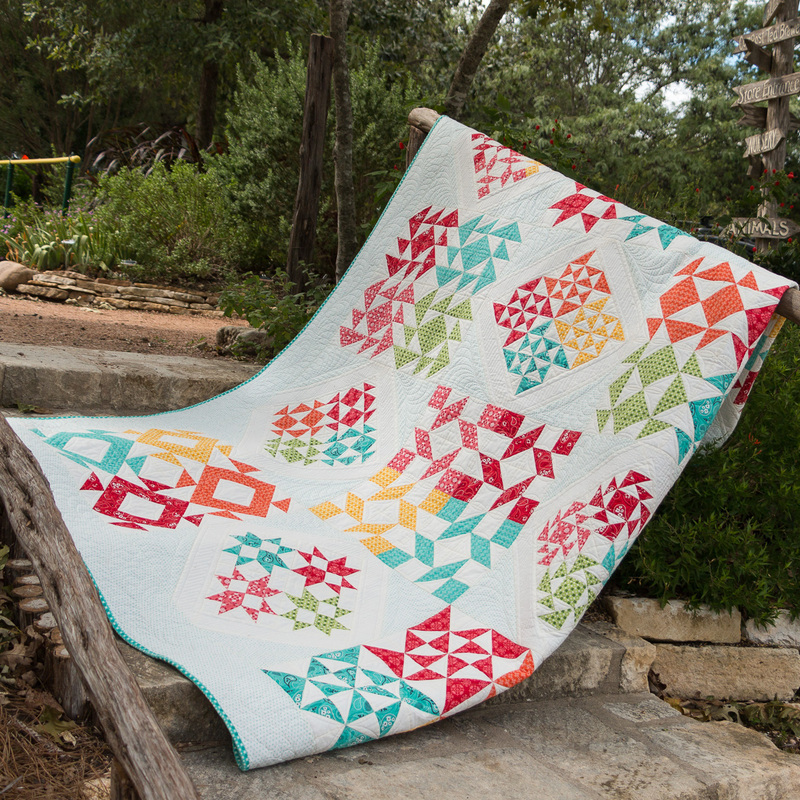 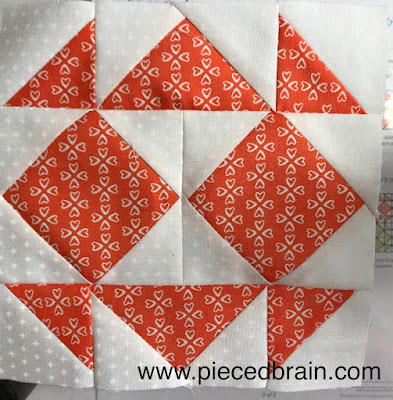 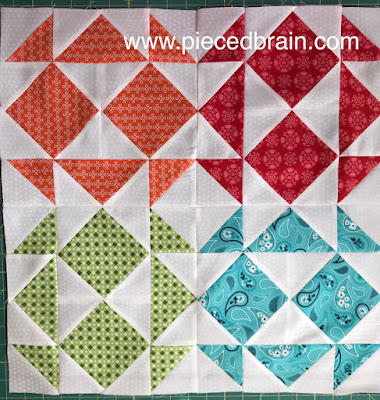 The pattern for this month's block is available today at Fat Quarter Shop's blog, along with the previous blocks. 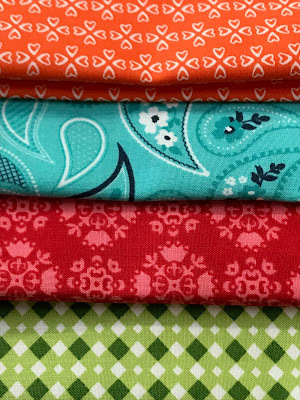 Fat Quarter Shop and Moda Fabrics are benefiting St. Jude Children’s Research Hospital with this year’s quilt along. 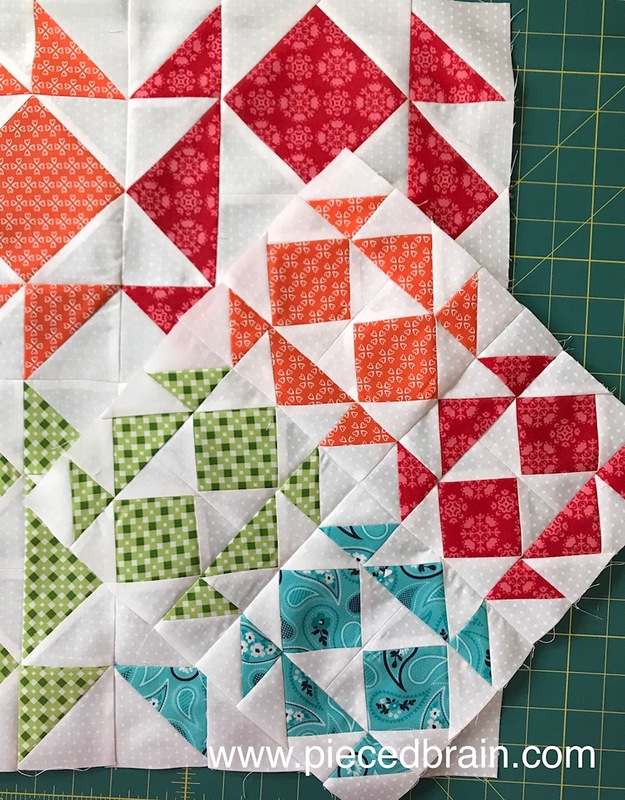 They are asking for a small donation in exchange for downloading each month’s pattern, and Fat Quarter Shop and Moda will match up to $20,000 of our donation. 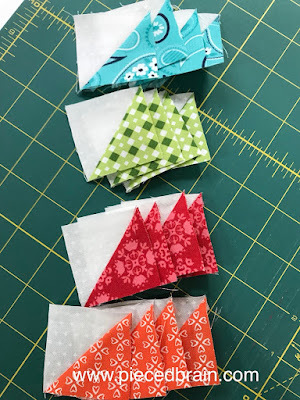 They look so pretty. It is going to be a great quilt.